viagra generico spedizione veloce a Napoli Blueberries bring a unique combination of delicious fruit and striking ornamental beauty to the garden and landscape. They are easy to grow, require little care, and are seldom bothered by pests. 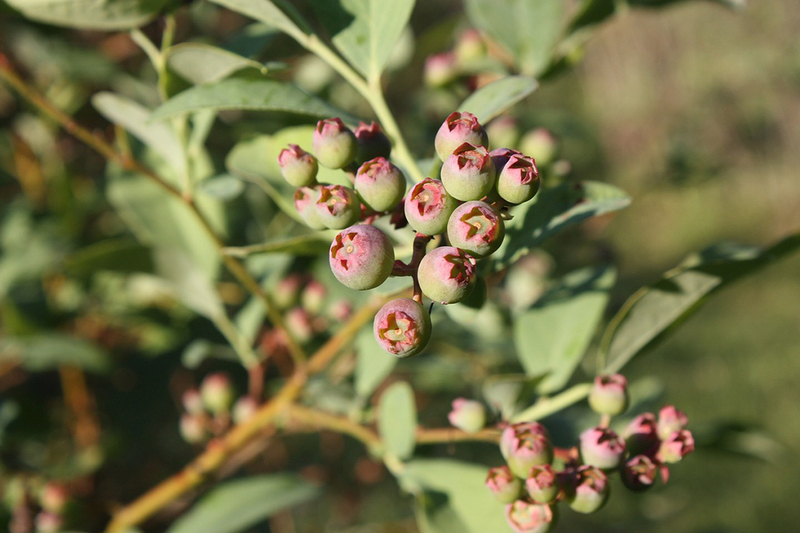 Blueberry varieties are distinguished by their climate suitability and ripening season. With a few basic steps, your blueberry plants can thrive for a lifetime. source site You may want to select varieties that ripen at different times or feature large fruit, which are best for fresh eating and desserts, or small fruit, which are best for muffins and pancakes. Bushes with brilliant fall color or different growth habits offer the gardener lots of choices to use throughout the landscape. For blueberry lovers, allow at least two plants per family member. enter site Select a sunny location with soil that is well drained, worked and weeded. It is important to keep the root zone moist throughout the growing season. If you have poor or marginally drained soil, raised beds that are 3 to 4 ft. wide and 8 to 12 inches high work well for blueberries. Mix in compost and Down To Earth Acid Mix. acquistare vardenafil originale pagamento online If you are planting directly into the ground, work up a planting area approximately 2 1/2 ft. in diameter and 1 ft. deep. Remove 1/3 to 1/2 of the soil and add an equal amount of organic compost or peat moss and mix well. For raised beds, mix equal parts of the existing soil with compost or peat moss. Remember, blueberries thrive in acidic soils. Using a fertilizer like Down To Earth Acid mix will give them the nutrients they need. Avoid manures, and remember, blueberries do not want to be over fertilized. Blueberries can be planted as close as 2 1/2 ft. apart to form solid hedgerows, or spaced up to 6 ft. apart to grow individually. Allow 8-10 ft. between rows, depending on equipment used for mowing or cultivating. For container stock, remove from pot and lightly rough up the outside surface of the rootball. Set the top soil line of the plant about 1/2 inches higher than the existing ground, and firm around the rootball. Mound soil up along sides of exposed root mass. Water in well. For bareroot plants, spread roots out sideways and shallow, cover with 1/2 in. of soil. Firm soil around roots and water well. Blueberries do best with 2 to 4 inches of mulch over the roots to conserve moisture, prevent weeds and add organic nutrients. Aged sawdust, compost, grass clippings, coffee grounds work well. Repeat this every year. For best results, apply fertilizer in early spring and again in late spring before your reapply the mulch. It is important that blueberries get established before allowing them to bear fruit. After that, they should be heavily pruned each year to avoid over-fruiting, which results in small fruit or poor growth. If 1/3 to 1/2 of the wood has not been removed by the above steps, then thin out the fruiting laterals and small branches until this balance has been obtained.